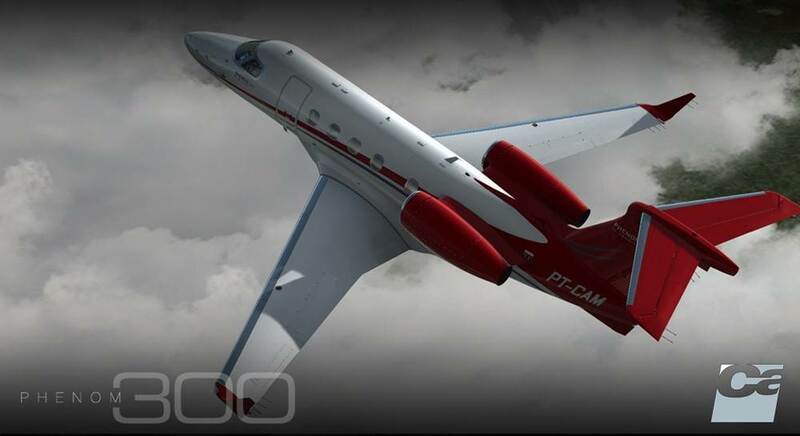 The aircraft are coming in fast from Carenado and they are getting bigger all the time. 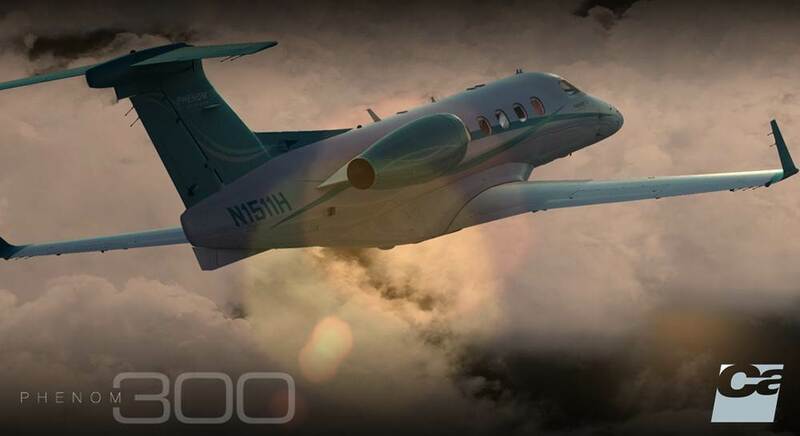 The Embraer 505 Phenom 300 is another business jet-style aircraft produced for Flight Simulator X and P3D by Carenado and is a step up in size from other recent Carenado biz-jet add-ons. 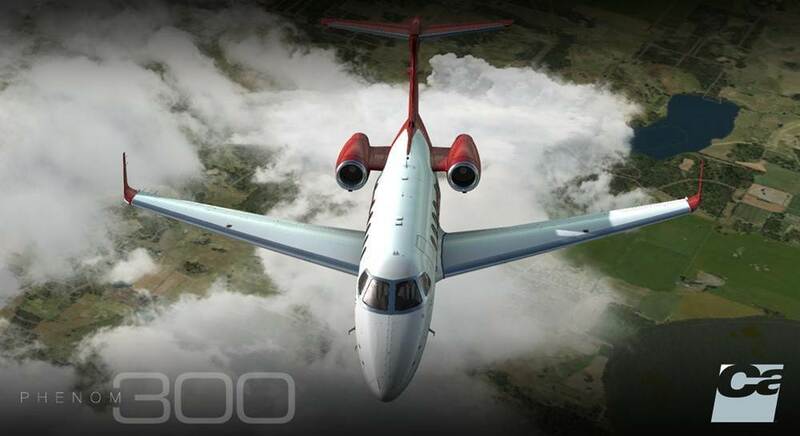 These add-ons are not as complex as say a PMDG-produced add-on, but they will give you a very good idea of what it takes to fly a modern business jet. 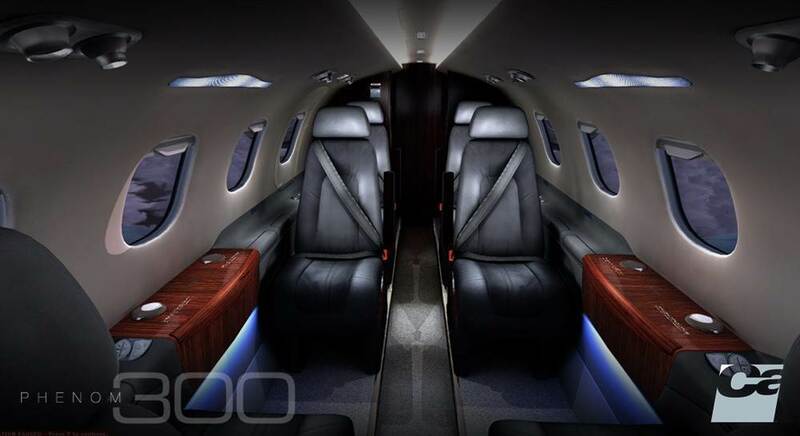 Let's just say that you will be able to manage flying this aircraft relatively easily on your own, and it's certainly fun to fly. 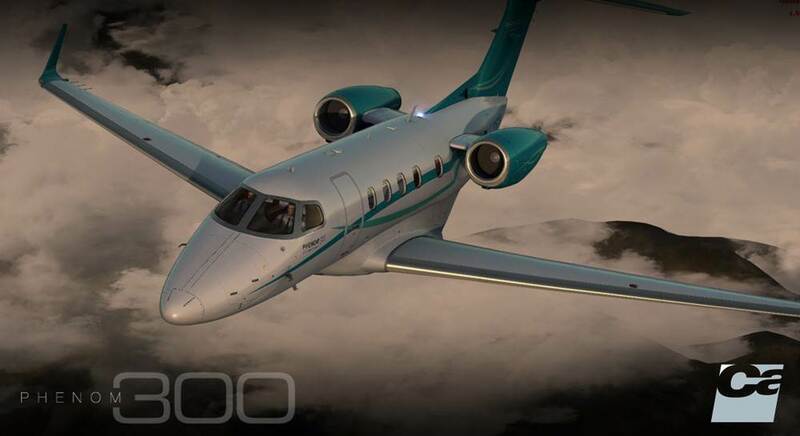 If you are stepping up or skilling up in your virtual pilot career and looking to make the transition from props to jets, this aircraft would make a great settping stone before you further upskill to a small or larger jet airliner. 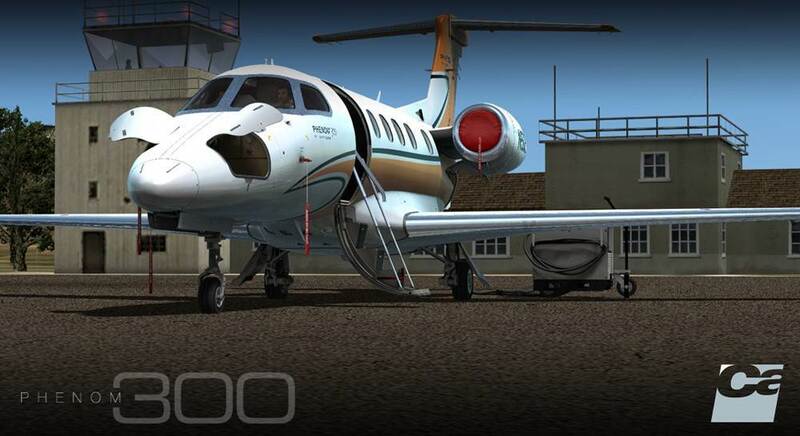 And of course, being a Carenado add-on, visuals and visual modelling is just about second to none. How amazing do the screenshots look! 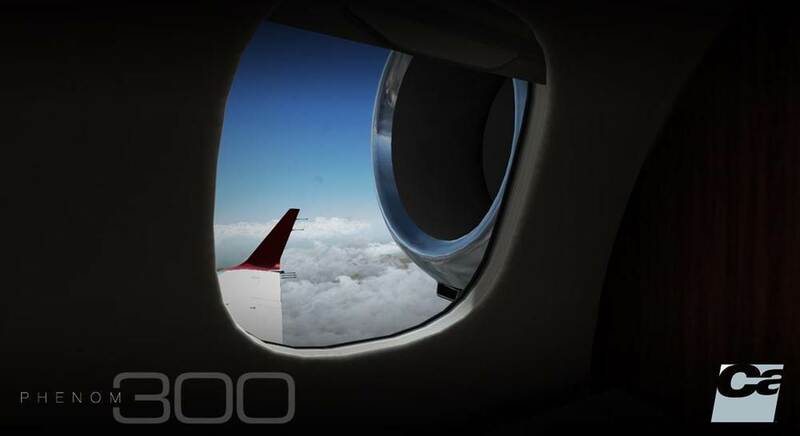 NOTE: This aircraft does not have a 2D panel. 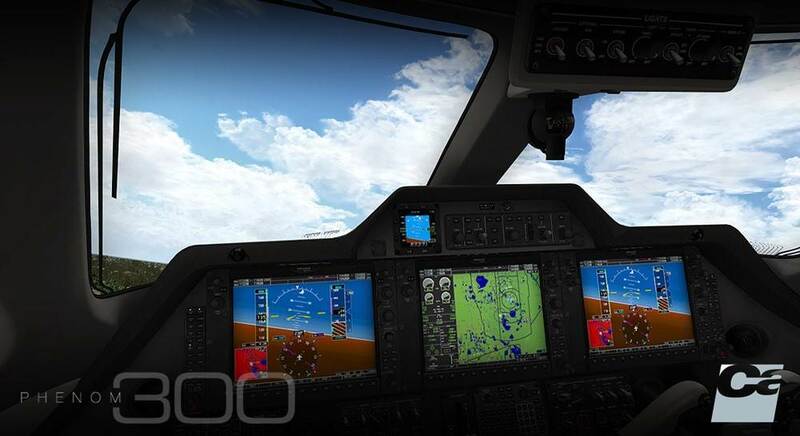 Only PFD, MFD, autopilot and keyboard (GCU 477) have 2D windows. 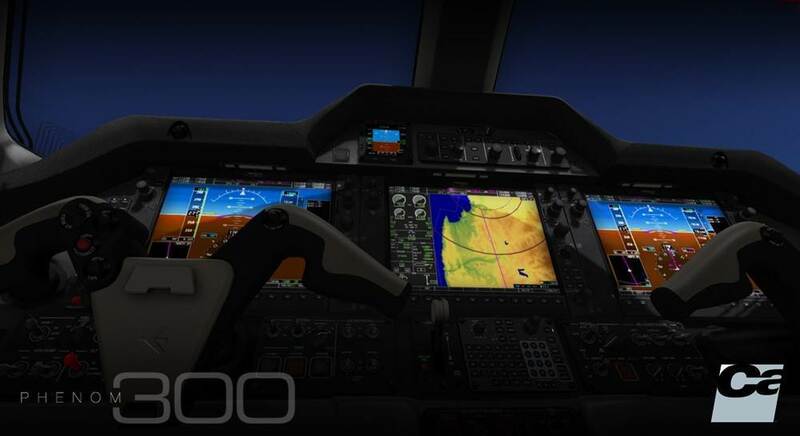 It does feature a fully modelled 3D virtual pan-able cockpit of course, as this is the most realistic view to fly with in your sim. 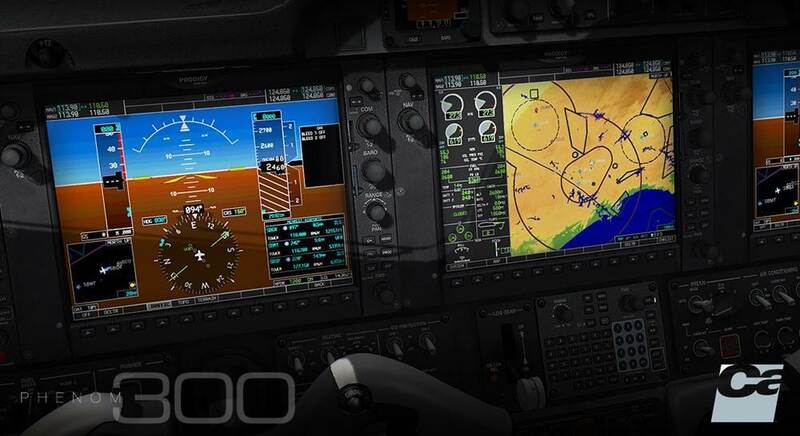 EMB505 Carenado prodigy G1000 PDF. Windows XP with SP3 installed, Vista, 7 (32 or 64 bits) or 10. 720MB available hard disk space.